The "clinical" end of the early illness stage (first treatment contact or first admission) is easy to define. But this event is determined not only by the increase in serious symptoms and impairment, but also by patients' help-seeking behaviour and the availability of adequate care. A suitable illness-related event to mark the end of the early illness stage is the climax of the first psychotic episode, operationalized as the maximum of positive symptoms . Figure 1.1, based on data from the ABC Schizophrenia Study, depicts the mean durations (and medians) of the intervals between the milestones or stages of evolving schizophrenia. (adjustment): when poor global functioning represents an early consequence of the prodromal stage of the disorder, it is no wonder that "premorbid" functioning possesses such high prognostic power for the social course of the disorder . Prognoses of this type merely tell us that fairly stable features of the disorder continue to persist in the further illness course. 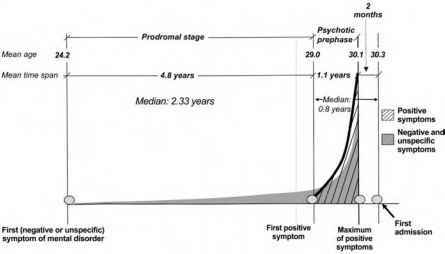 Psychosis onset as the end of the prodromal stage can be determined fairly reliably by the timepoint at which the first psychotic symptom appears. Considering the fairly common occurrence of single psychotic symptoms in the nonpsychotic general population [38-40], with lifetime rates ranging from 5% to 15%, it is advisable to operationalize psychosis onset by persistence of psychotic symptoms for at least one week. By this criterion the fairly rare brief limited intermittent positive symptoms (BLIPS) , defined by persistence for up to one week, are subsumed under the prodromal stage or classified as not yet progressing risk indicators. The onset of the prodromal stage is marked primarily by symptoms not specific to schizophrenia, and for this reason it is far more difficult to define. An operational definition must distinguish between stable, persistent single symptoms on the one hand and early or premonitory signs of other mental disorders on the other hand. 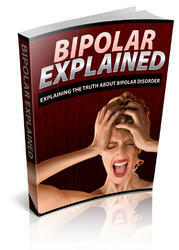 An optimal solution to this problem has not yet been found either at the psychopathological or the biological level. For this reason in the ABC Study we used an operational definition based on the different specificities of the three symptom categories: nonspecific symptoms qualified as first signs of the disorder only if they persisted continuously until first admission, negative symptoms, if they were continuous or recurrent, and positive symptoms in any case, even if they had occurred only once for at least two weeks. 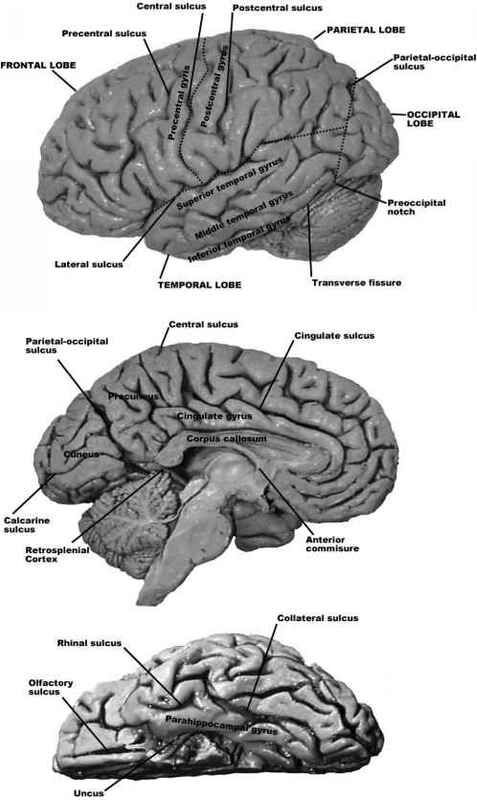 But it might well be that in the future a neurobiological indicator will be found that marks the onset of the most active neurodegenerative phase in the course of schizophrenia.